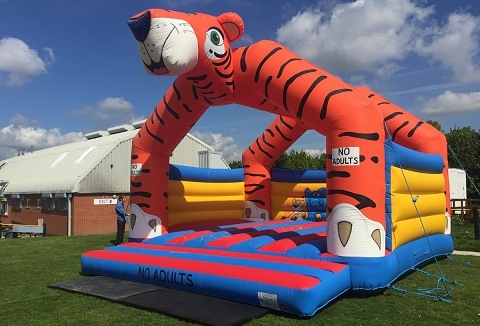 We hire out a range of bouncy castles, rodeo bulls, bungee-runs, sumo suitss, inflatable assault courses and many other great amusements and entertainments. Take look through our website to see what we can offer or contact us for further details & prices. If there are children involved you can't go wrong! You don't need a reason to have a good time, get a castle have some fun, the kids will love it, even the big kids. 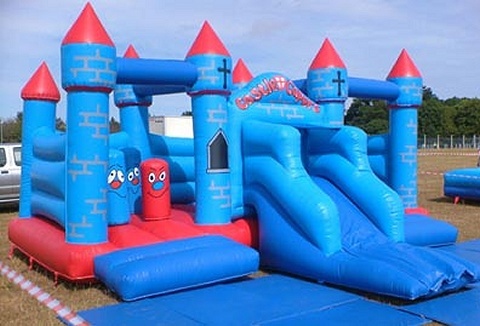 Supplier of private and corporate fun with a selection of size castles and inflatable's. 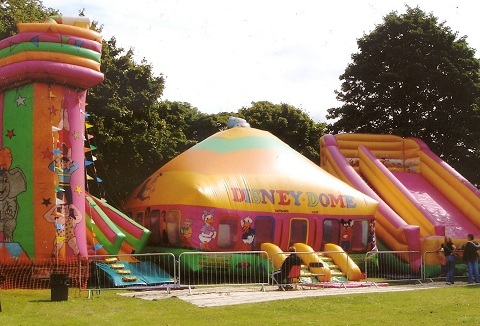 We supply and operate a range of inflatable bouncy castles for events as well as private hire. 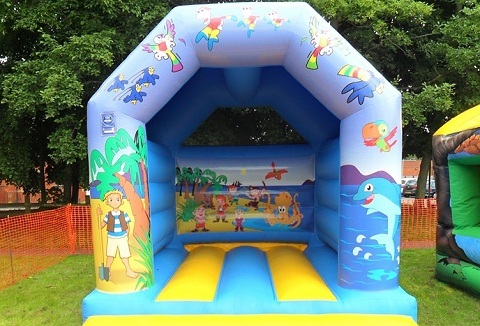 Our range of inflatables include ball ponds, soft play, themed bouncy castles, slides, climbers and inflatable games. Selection of indoor inflatables available. 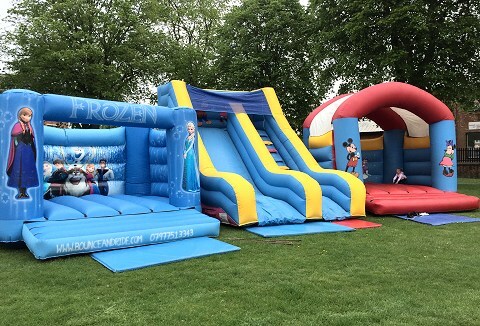 We are a family run amusement hire business that offers a full range of children's bouncy castle inflatables from slides, obstacle courses to helter skelter and Disney dome for all outdoor events, county shows, festivals to private & corporate functions. If fun and smiles is what you are looking for then our fantastic variety of bouncy castles and our huge array of inflatable mega slides will keep everyone smiling with fun and laughter. We can cater for fetes, fundays, private and corporate fun days. 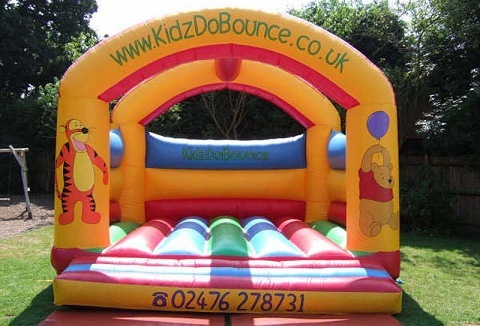 Est 1999 We provide clean commercial bouncy castles & Inflatables for all types of indoor & outdoor events, all year round. See also our soft play, packages, skittle alleys. Use our 24/7 online booking system to check item availability & get price quotes. 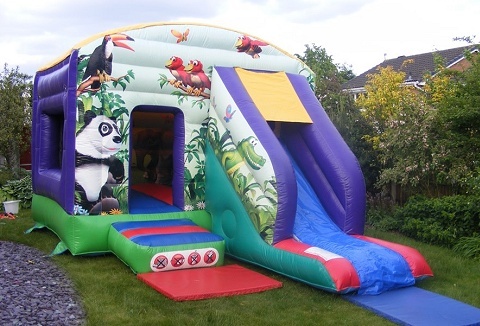 Wide selection of inflatable bouncy castles that will put some added bounce into your event. Suitable for indoor and outdoor (rain covers available). 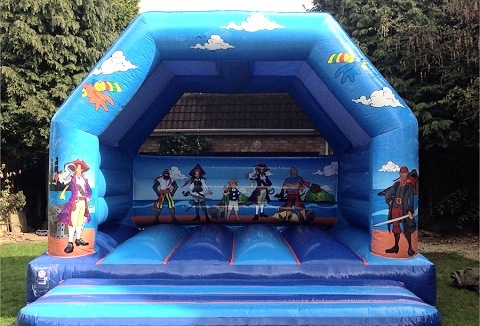 Children's themed 12x12, large 15x15 patch work bouncy castle plus our 21 x 16 x 12 giant clown slide.